Hike Lion’s Head – 3 Things You Need to Know Before Hiking. Hiking up Lion’s Head mountain is an marvelous feeling. This step by step guide tells you the important things to know before you set foot on the mountain resembling a crouching lion called Lion’s Head. 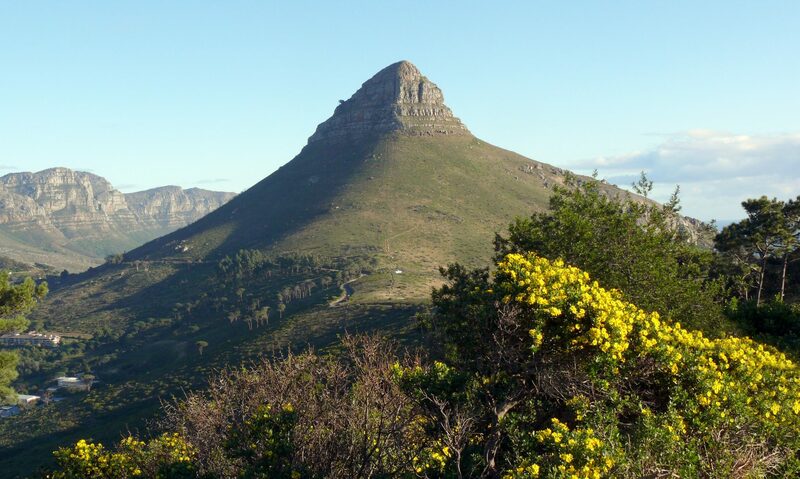 The Lion’s Head mountain, part of Table Mountain national park, is a place where taking proper hiking safety precautions is highly recommended. Now let’s begin with the 3 things that will benefit your hiking experience up Lion’s Head. NUMBER 1 – WHAT YOU SHOULD WEAR FOR YOUR LION’S HEAD MOUNTAIN HIKE. Slippers and pajamas are for bed, just as beach wear is meant for the beach. Unless you plan on doing one of our hikes up Table Mountain that take you on a journey to the “Secret beach on Table Mountain”, (even then you would first require the proper clothing to reach the hidden beach), then there is no reason to be dressed for a day at the beach. Start by wearing a multi-layer breathable fabric like cotton. Over the cotton wear a wind breaker or a sweater. Jeans or shorts are both acceptable and proper shoes that are closed. If you are not sure about what clothing to wear for your hike then your guide will be able to provide suitable suggestions for your hike up Lion’s Head. NUMBER 2 – WHEN YOU SHOULD HIKE UP LION’S HEAD MOUNTAIN. The best time to hike Lion’s Head is for sunrise or sunset. It is the proper safety precaution to hike where you can be seen at all times. When you book a hike up Lion’s Head, one of your guides will arrange for a time that coincides with the most suitable time to be vigilant of mountain safety. NUMBER 3 – HIKING IN NUMBERS FOR LION’S HEAD MOUNTAIN. It’s just more fun hiking up Lion’s Head in numbers! Hike Lion’s Head suggests taking a knowledgeable and competent hiking partner with you. Although it best to go along with a group hike or private hiking tour, Hike Lion’s Head understands that sometimes it’s just not possible to be with someone else. If you decide to go hiking up Lion’s Head alone look for someone else hiking solo so that you both can hike alone together.